A touching tribute to a fallen officer was unveiled in Harford County over the weekend. 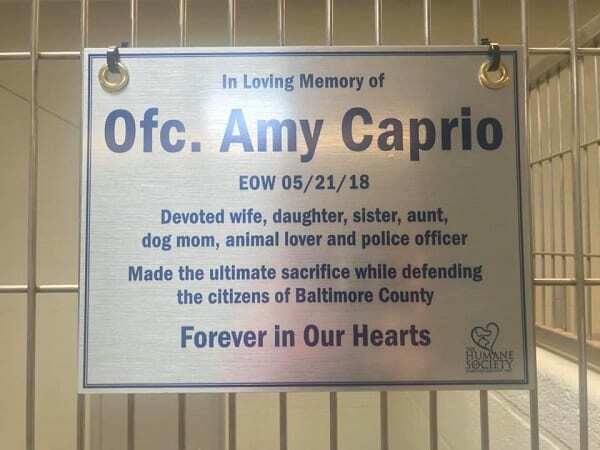 On Sunday, the Humane Society of Harford County unveiled a plaque in memory of Officer Amy Caprio and named one of their kennels in her honor. 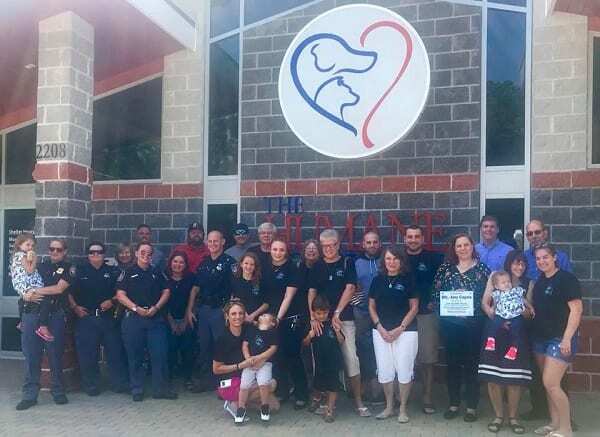 Officer Caprio and her husband, Tim, adopted their dog from the Humane Society of Harford County in 2015, and the couple chose to have memorial donations benefit the animals there. To date, HSHC has collected over $27,000 in honor of Officer Caprio. 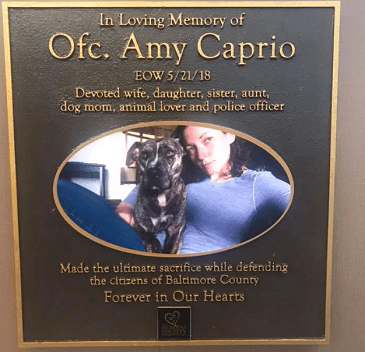 Officer Caprio, who was assigned to the Parkville precinct, was run down in the line of duty earlier this year while investigating a suspicious vehicle in Perry Hall.